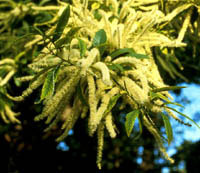 Allegheny chinquapin is a lovely tree in late May and early June when the 2 to 6 inch, fragrant male catkins stand erect like white candles, followed by the spiny burs of the female flowers that ripen in the winter. 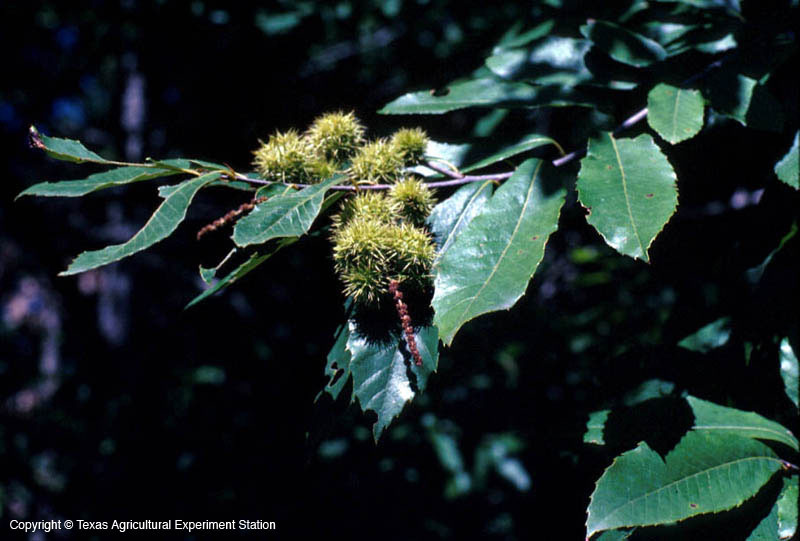 Chinquapin is a relative of the American chestnut, which is now almost extinct because of chestnut blight, an imported fungus. 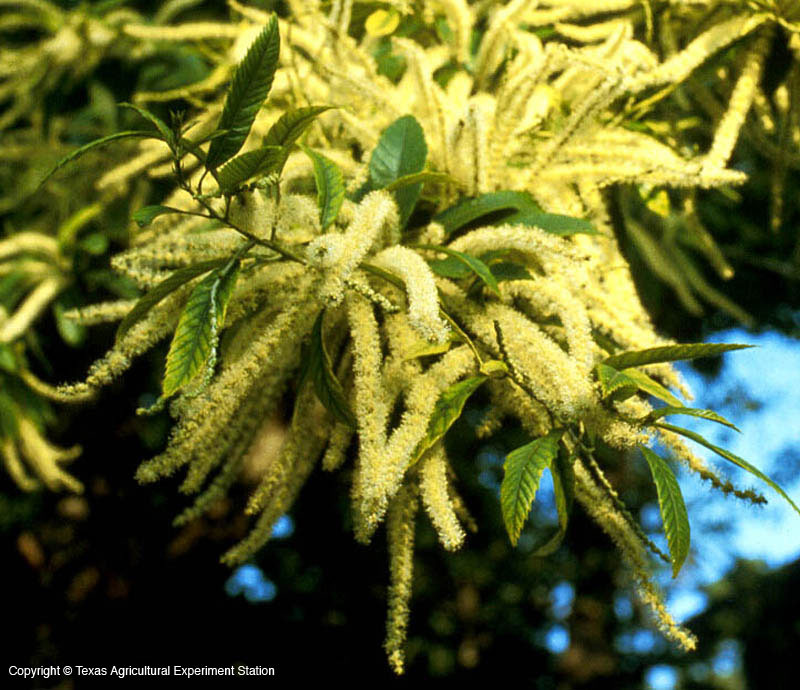 The chiquapin is only moderately resistant to the disease, and each year there are fewer trees, so its future is uncertain. 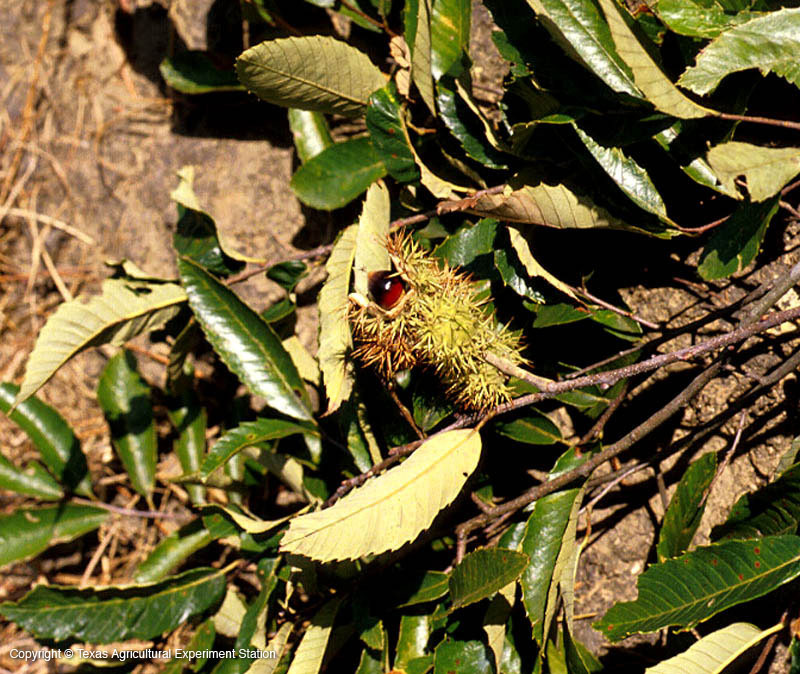 Chinquapin nuts are very sweet and were preferred over chestnuts by those fortunate enough to sample both.